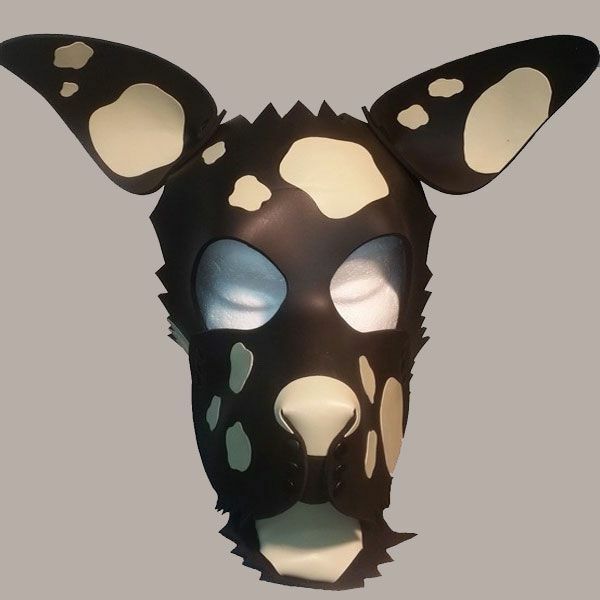 Our Newest Neoprene Puppy Play Hood. 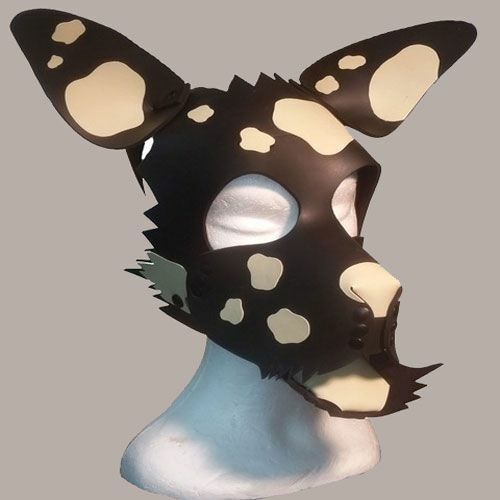 This is our latest and we think our BEST Pup Play Hood so far. 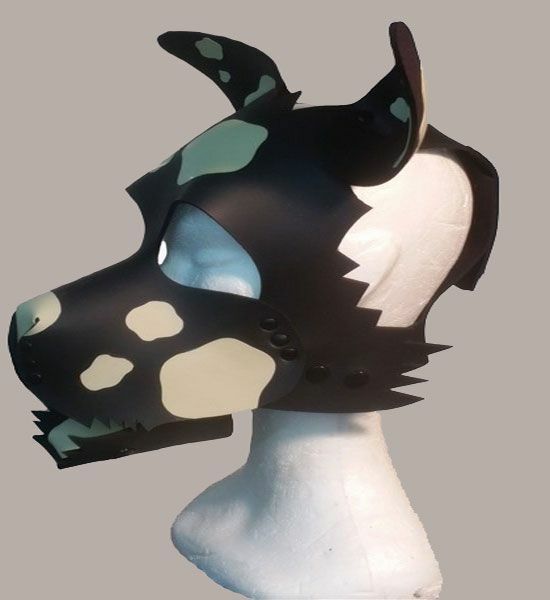 Made from 3mm thick Glide Skin Neoprene with White patches made from Latex Rubber The hood is handmade by our self thelatexfactory.com and can be adjusted using the poppers on the back and sides giving you that perfect fit. 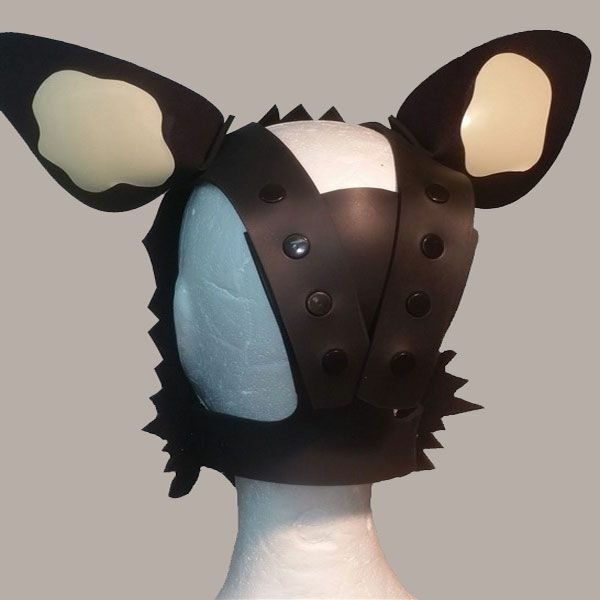 This hood has been made for long hours of puppy play giving you trouble free fun. A one size hood to fit all.